Please see below a copy of the open letter from Isle of Man Post Office Chairman and Board which was published in the Isle of Man Courier and Examiner. A download is also available at the bottom of the page. 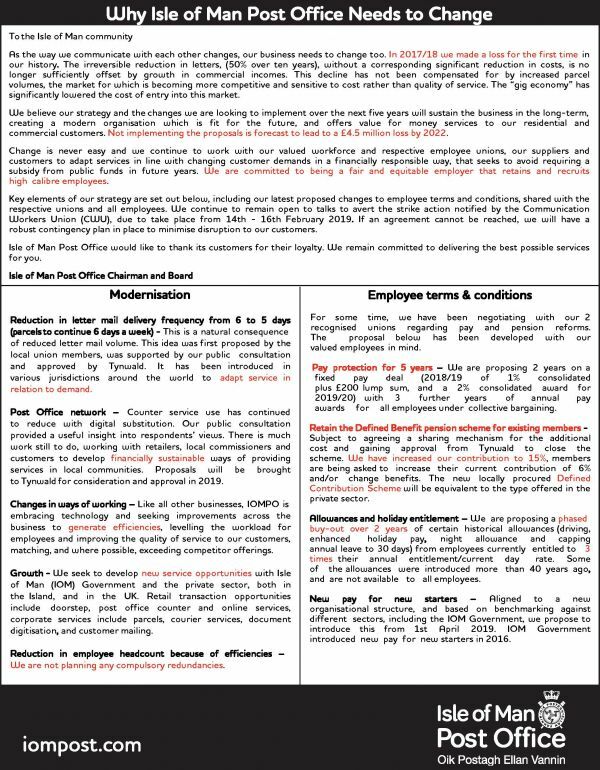 Connect with the Post Office PR Team to keep up to date with news and press information.